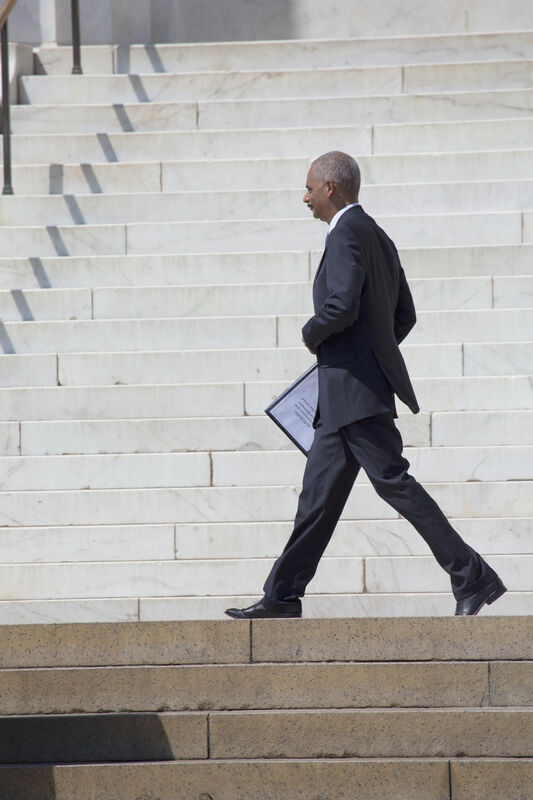 Anticipating future legal challenges as a result of last fall’s election, the California Legislature has retained former Attorney General Eric Holder to serve as an adviser and outside counsel. State officials believe that Holder can aid in their resistance of “any attempts to roll back the progress California has made.” Legislators are particularly concerned about seeing recent gains made in the areas of immigration, civil rights, climate change and health care upended by the Trump administration. It’s no secret that the Golden State is shaping up to be a thorn in the side of the incoming administration. Continuing its leftward shift of recent years, California voters preferred Hillary Rodham Clinton over Donald Trump by an almost two-to-one margin in the 2016 presidential contest. Should legal battles prove inevitable, Holder will likely work alongside Congressman Xavier Becerra, Governor Jerry Brown’s pick for state attorney general. With its size, history and left-leaning politics, California is no stranger to making waves. That said, the new year will likely introduce legal challenges that could significantly impact residents throughout our state. In this new, uncertain reality, it’s never been more important to procure professional, reputable legal whenever the need arises. Having long ago made it our mission to assist Murrieta and Riverside County residents in cases involving personal injury and misdemeanor defense, Hales & Associates, A Professional Law Corporation is the trusted legal resource you deserve. Dial (951) 489-3320 today for more information.